Peacefully following a brief battle with cancer on Thursday, November 30/17. Beloved wife of the late Antonio. Loving mother of Emily (Carmelo Mandolfo) and Michael (Laura). Cherished Nanna of Alivia, George, Keith, Gracie, Antonio, Julian and Daniel and the late baby Marco. 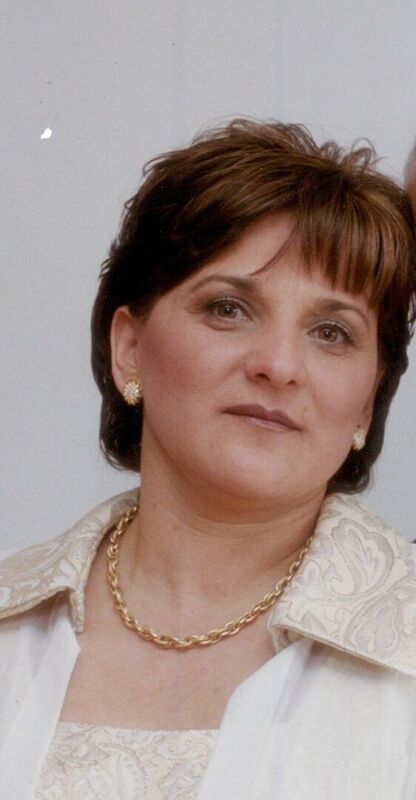 Will be sadly missed by her brothers Frank Fallico (Tracy) and Luigi Fallico (Patrizia), her nieces and nephews. Family and friends will be received at the Ward Funeral Home, 4671 Hwy 7 (west of Pine Valley Dr.), Woodbridge, on Saturday and Sunday from 2-4, 6-9 pm. A Mass of Christian Burial will be held on Monday, December 4, 2017 at 11:00 am at St. Peter’s Church, 100 Bainbridge Avenue, Woodbridge. Entombment to follow at Queen of Heaven Cemetery. As expression of sympathy, donations to the Canadian Cancer Society would be appreciated.